Chattahoochee Parks Conservancy is proud to be a sponsor of Sweep the Hooch - held April 6th, 9am to 12pm! Sweep the Hooch is an annual day of service to the Chattahoochee River watershed mobilizing volunteers on foot, in waders, or kayak/canoe paddlers to remove trash at locations throughout the watershed. Sweep the Hooch brings people together to give back to the mighty river that gives us so much. Last year, with the help of over 900 volunteers, we removed 24 TONS from our watershed. Don't miss out on this great service day! Details about the event can be found here. Click on the registration link, select WALKER, then choose the WHITEWATER! Chattahoochee Parks Conservancy, Inc., a 501(c)3 non-profit organization. 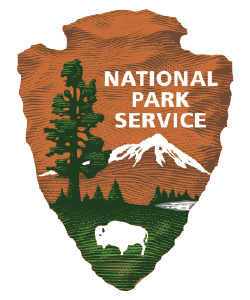 email: info@chattahoocheeparks.org Visit the National Park Service website.